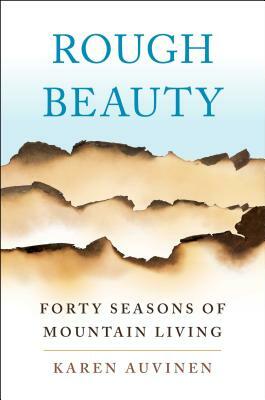 Karen Auvinen is a poet, mountain woman, lifelong westerner, writer, and the author of the memoir Rough Beauty: Forty Seasons of Mountain Living. Her body of work, which examines what it means to live deeply and voluptuously, has appeared in The New York Times, Real Simple, LitHub, and Westword, as well as numerous literary journals. A former Artist-in-Residence for the State of Colorado, Karen is the winner of two Academy of American Poets awards and has been nominated for several Pushcart Prizes in fiction. She earned her MA in poetry from the University of Colorado—Boulder, under the mentorship of Lucia Berlin, and went on to earn her PhD in fiction writing from the University of Wisconsin—Milwaukee. Currently, she teaches film, popular culture, and storytelling at the University of Colorado—Boulder. "In her new memoir, award-winning poet Karen Auvinen recounts her struggle to rebuild her life after a devastating fire left her in a remote mountain community with nothing but the opportunity to begin again. Auvinen’s candor as she wrestles with her impulsion to grow and to fight against outgrown or unreasonable restraints reveals admirable courage." "The heart of this memoir is [Auvinen's] relationship with her rescue dog, Elvis, a Husky mix with a penchant for wandering. As Elvis nears the end of his life, Auvinen finds a new (human) relationship and her own happy ending." "Beautiful, contemplative ... This breathtaking memoir honors the wildness of the Rockies and shows readers how they might come to rely on their animal companions."